Again, the heat is on and political forces in Nigeria are aligning and realigning ahead of 2019 federal elections. Only about three days ago the Independent National Electoral Commission (INEC) released the timetable for elections into political offices. It, therefore, behoves Nigerians to go out en masse to register with a viewing to selecting and electing their leaders. It would be recalled, however, that our country returned to civil democratic rule in 1999 after many prodigal years of military dictatorship having contended with many pro-democracy forces particularly the National Democratic Coalition (NADECO). NADECO stood toe-to-toe with the military and triumphed after a ding-dong battle. It stands to reason and, of course, logical that the reason and hopes for sending the military back to the barracks by the pro-democracy forces at the time have collapsed like a pack of cards, considering the state of the nation today. One feels queer as it is that there is nothing on the ground to suggest that Nigeria is on the path to recovery nor is there anything to suggest she is on the path to redemption. The voice of reason is increasingly being challenged by the collective voice of looters amid a glaring insecurity ravaging the country calling to mind the deadly insurgency in the North-East and deafening agitation for secession in the South-East. These put the nation on the brink. However, you will agree with me under the existing circumstances that our country has never been this divided or polarised with threats of secession staring Nigeria ominously in the face when the country is better together as one, indivisible entity. Today there is not just one major issue facing the country. 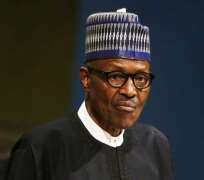 There are a number of them, and neither of the two parties, the governing All Progressives Congress (APC) and the erstwhile ruling party, the Peoples' Democratic Party (PDP) is addressing these very serious problems. Bitter partisan divisions have produced nothing but a decadent paralysis leaving Nigeria even more divided into more than two competing ideological positions. One does not need to retain the services of a seer to tell one that the present crop of politicians has failed us. The military which was hounded and harassed out of power by a sustained protest and demonstrations across the country was much better, I dare say, than the calibre of men that make up the Abuja regime. The devil, they often say, may not be as black as he is often painted because I could recall from dim memory that there was indeed a great deal of macroeconomic stability under late General Sani Abacha. The US dollar exchanged for N80, remained stable and unchanged all the while he held sway. Insurgency was comparatively unknown not to talk of the ongoing agitation for secession which is on the ascending order of magnitude. The reason for this was a well-coordinated and unbiased government policies that were well implemented and executed which favoured all sections of the country. To say Nigerians were not happy and contented at the period under review would be an understatement. Insecurity of lives and property was comparatively unknown as Nigerians slept comfortably with both eyes closed. But today the situation is better imagined than real under the two major political parties since Nigeria returned to civil democratic rule. For much of this time, there have been greater philosophical differences between members of each party than between the two parties themselves.The leaders of the parties namely the ruling All Progressives Congress (APC) and the Peoples' Democratic Party (PDP) now seem so politically divided and philosophically opposed that they can never work together and compromise to solve Nigeria's teething problems. Frankly, there is no gainsaying the fact that these two parties have failed the country with their visionless leadership. Although the National Bureau of Statistics (NBS) recently announced that Nigeria has exited recession, the claim can only be authenticated when the pauperized citizenry begins to feel the impact which is by no means of the imagination expected in the near or far future. The growing national debt is an acknowledged problem, but the solution will not come from the existing parties which have both had a shot at the presidency and did not only fail woefully but marvellously. The progressives seem determined to consolidate their hold on political power amid the crushing effect of their abysmal failures in the present appalling forms. The Democrats -PDP- having presided over one vast empire of corruption seek a return to plunge the nation into yet another abysmal depths! Who Nigerians urgently stand in need of under the existing circumstances is a crop of politicians with listening ears and not politicians with inordinate attention to public opinion polls who often ignore polls and show dissatisfaction with government policies and unrepentantly continue in their same old ways to run the country for the benefit of certain special vested interests who for all practical purposes own the government. Over 75% of the Nigerian public believes that big special interests run the government for their own benefit while they are left to thrive on dirt and dirty surroundings. Unemployment today has become a nightmare with millions of Nigerians thrown out of job resulting from the visionless leadership of the All Progressives Congress. Ay, millions of people are out of work, and the national debt keeps mounting marvellously! The ruling party keeps failing at every turn and seems more interested in defeating the opposition and setting every machinery in motion for re-election bid than helping the country out of its present doldrums with little or no aggressive action to regenerate Nigeria. Since the APC assumed the reins of power nothing has been accomplished to better the lots of Nigerians. Extreme partisanship has prevented any significant progress toward solving our problems of stimulating the economy and creating jobs. According to a recent poll conducted recently over 60% of Nigerians think a third major political party is needed. The need has never been greater than now if you need reminding. The two dominant political parties in Nigeria - the All Progressives Congress (APC) and the Peoples Democratic Party (PDP) - have in all honesty failed in their bid to resolve some major issues of the day which border on insecurity, unemployment, hunger, poverty, bloody insurgency, agitation and the like. This, I dare say again, portends a grave danger for our country. We need to confront major political, economic, and social problems. How do we do so for the benefit of working people and small business people rather than powerful special interests who give millions and millions of naira via campaign contributions to control, buy and install the government for their benefit to the detriment of the hoi polloi? This piece, however, is aimed at sensitizing Nigerians for the urgent need of another major political party to challenge the ruling All Progressives Congress and the Peoples Democratic Party, in fact, to give Nigerians an option for a new leadership. A good number of Nigerian eligible voters no longer bother to go to the polls. They either are disillusioned with both the above-named parties as they feel their votes do not count to redirect and reshape their future. They keep recycling their leaders and a majority of APC leaders are turncoats from the PDP whose greed keep returning the country hopelessly to the proverbial vicious cycle! Fellow countrymen, what this country stands in need of today is a new political party, a third party that will bring new, creative ideas and take imaginative and sensible action to solve some serious problems that are almost driving us nuts and Nigeria into total extinction. Neither the governing All Progressives Congress (APC) nor the former governing party, the Peoples' Democratic Party (PDP) has the capability to tackle these hydra-headed problems head-on with a view to effecting lasting social reforms and solutions in the foreseeable future. They are bitterly divided and at odds. Both parties seem more interested in gaining a political advantage than working to solve our problems. The quality of our lawmakers ranges from mediocre to abysmal which is why they cannot make laws to regenerate Nigeria. In fact, the National Assembly is almost dysfunctional while the government is spiralling headlong towards paralysis with threats of imminent nationwide revolt! We have no other country to call our own, the situation today in our country makes me sad, very sad, sad indeed, that is why we must climb in on the bandwagon on a salvage operation. Our input in this regard will amount to launching the most dramatic change in global democracy in our unbending and burning desire to join forces with a radically democratic movement to revitalize the obviously decadent paralysis. My fellow countrymen, the time for the real change has come to identify with a truly national party that will allow you all to be participant-observers in the ongoing democratic experiment - I mean that will allow you all to vote directly on policies and to create one for consideration. The teething problems threatening our very existence as a nation need to be effectively and decisively tackled by the liberal intelligentsia and this is what the Green Party of Nigeria (GPN) represents. Having carefully studied the party's manifesto and the leadership, I am left with no option but to ask all to pitch tents with this party that parades true Progressives and Democrats founded on the principles of Issue-Based Direct Democracy which distributes policy tokens to members and non-members alike - a response to contemporary representative democracies which will, in turn, feed political polarization and a sensationalized policy-making process. I will sum up here by reminding one and all that the Green Party of Nigeria under the distinguished leadership of Major Al-Mustapha (rtd) made up of the young breed and firebrand revolutionaries remains a political party for Nigerians and by extension for Africans who are frustrated with corruption, stagnation, polarisation that truly desire a change. Iyoha John Darlington, a political analyst, social activist and public commentator on national and global issues wrote from Turin, Italy. Disclaimer: "The views/contents expressed in this article are the sole responsibility of John Darlington and do not necessarily reflect those of The Nigerian Voice. The Nigerian Voice will not be responsible or liable for any inaccurate or incorrect statements contained in this article."